[/av_heading] [av_textblock size=” font_color=” color=” admin_preview_bg=”] Prior to entering Parliament Michael began professional life as a cadet with The Daily Advertiser. At the age of 27 he was appointed to the newspaper’s editorship, becoming the youngest person appointed to edit a daily newspaper in Australia at the time. During his career at the newspaper, Michael was a champion of many community issues. He is most proud of the significant part he played in helping to save Wagga Wagga’s Royal Australian Air Force base from closure in 1997, which not only resulted in the retention of the base but the expansion of its role in the region. Michael was elected as The Nationals’ Member for Riverina on 21 August 2010. Following the 2013 Federal Election, Michael was appointed Parliamentary Secretary to the Minister for Finance and in September 2015 he was then appointed Assistant Minister to the Deputy Prime Minister. In this role, Michael worked alongside then Nationals’ Leader and Deputy Prime Minister, the Hon Warren Truss, in the administration of regional development programmes. Following the announcement of Mr Truss’ retirement in February 2016 Michael become the Assistant Minister for Defence and after the 2016 Federal Election, Michael was appointed to the Ministry as the Federal Small Business Minister – advocating for the nation’s 3.2 million small businesses. 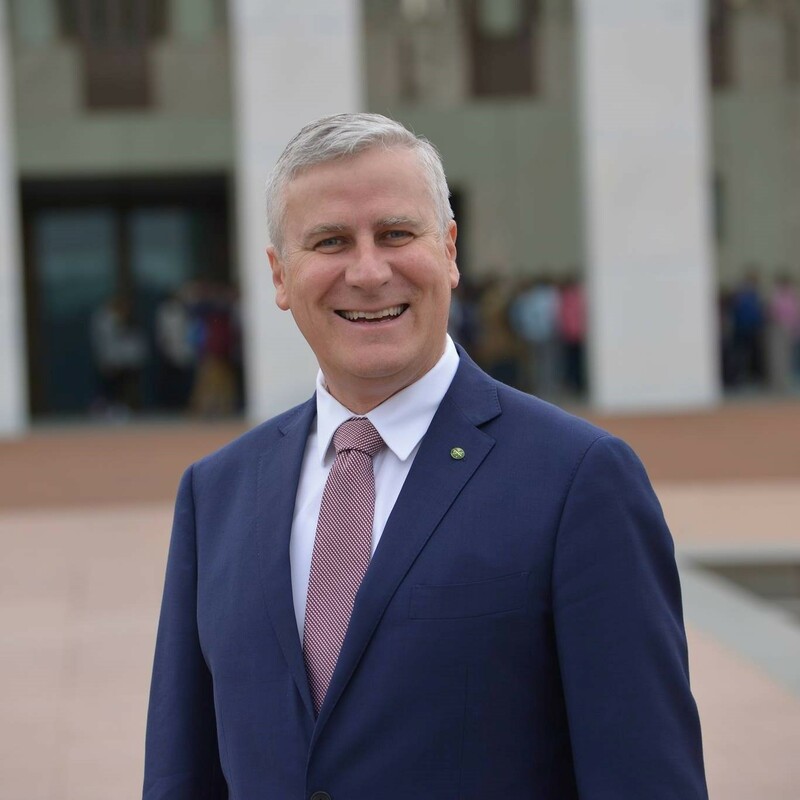 On 26 February 2018, Michael became the 14th Leader of The Nationals and the 18th Deputy Prime Minister of Australia. Raised on family farms at Marrar and Brucedale while going to school in Wagga Wagga – Michael has lived and worked in the Riverina all his life with his wife Catherine and three children. Michael is a keen sportsman and is passionate about horse racing, Australian football, rugby league and cricket. Michael also has a keen interest in military history particularly the First World War.